What is it like to travel New Zealand in November? You’re onto a good thing with the weather in November. With the days getting warmer as this final month of spring approaches summer, the weather is generally good during November in New Zealand. What’s more, it’s the final month of the shoulder season in New Zealand before the summer tourist crowds hit so make the most of visiting those more popular destinations like Milford Sound during this time. In this quick and simple guide to travelling New Zealand in November, we’ll go over the typical weather in November, the November events, what activities to do in November, and typical prices. Additionally, we’ll also give you some November travel tips! Here are some good things to know for travelling New Zealand in November. Slap on the sunscreen! November tends to bring a lot of sunny days, with that some intense UV rays thanks to the hole in the Ozone layer between New Zealand and Australia. Make sure you wear high factor when spending any amount of time outside, even on a cloudy day. Although November is the last shoulder season month, you will still want to consider booking early for accommodation in popular tourist spots like Milford Sound and Lake Tekapo, which has limited accommodation but starts to get very popular during this time of the year. Pack light layers and a rain jacket. As with any month, the weather in November can be unpredictable and inconsistent so pack a rain jacket and a few light layers, even a wool or polypropylene layer in case the temperature drops. Summer is just around the corner so the weather in November starts to get a lot warmer than previous months and less rainfall. That’s not to say you won’t encounter the odd rainy day, as the weather is very changeable in New Zealand. Light clothing should see you through your time in New Zealand during November, but it’s worth packing a thermal layer and rain jacket for that odd but likely day of rainy or cold weather. North Island Temperatures: Highs of around 21°C or more and lows of 8°C. South Island Temperatures: Highs of around 20°C and lows of 5°C. November 5 is Guy Fawkes’ Night in New Zealand. With many New Zealand citizens having English heritage, New Zealanders celebrate this night with fireworks displays all over the country. For a real epic display mixed with a carnival atmosphere, head to the Wellington Sky Show in the capital city of New Zealand. The Victorian Fete in Oamaru is not to be missed if travelling the South Island in November. The town with Victorian architecture celebrates its heritage every year with a three-day event where all the locals put on their best Victorian attire for a days of parades, dancing, competitions, markets and much more! Finally, another event highlight during November is the New Zealand Tattoo and Body art Festival. The events takes place in New Plymouth in Taranaki and is complete with burlesque performances. Honestly, November is a good time to do just about anything in New Zealand (with the exception of winter sports that is). Hiking, mountain biking, bungy jumping, white water rafting, canyoning, sailing, skydiving… You can do it all! However, to avoid the decision fatigue, here are a few articles to give you inspiration for your New Zealand bucket list. If you are travelling around the Lake Tekapo and Canterbury region of New Zealand during November, you will be there in time to see the lupins in bloom. These purple and blue flowers make for a stunning photo among a beautiful landscape. Find out where to see lupins in New Zealand in this guide. As the final month of the shoulder season before summer starts, November may have a few deals in terms of activities. However, expect prices to start rising compared to previous months during November. Nevertheless, accommodation, rentals and activities are still highly affordable. Find out more benefits of travelling the shoulder season in New Zealand in this guide. During the beginning of Novemeber, flights to New Zealand remain at the lower end of the scale, but the closer it gets to December, the more flight prices rise. However, a whole bunch of factors influence the price of flights to New Zealand, from your departure destination to what method you use to book. 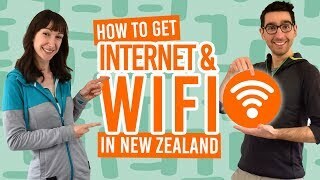 For a few flight booking tips to keep the costs down, check out How to Book a Cheap Flight to New Zealand. November is your last chance to get a good deal on car or campervan rentals before the price goes up for summer. As the month goes on, you will start to notice those daily rates rising. Prices usually start from NZ$30 per day for a budget car. Be sure to add these additional rental costs to your car rental budget. In the more popular tourist hotspots, be prepared to make some advance bookings for accommodation as places start to get busier. 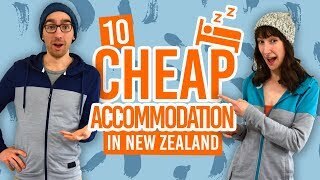 Hostels tend to stay around the NZ$21-$32 per dorm bed price range while holiday parks are around NZ$20-$40 per powered site for a campervan. The good thing is that almost every activity operator will be open for the summer season during November. There may still be opportunity to grab a shoulder season deal on activities, but most activities will be operating at full price.